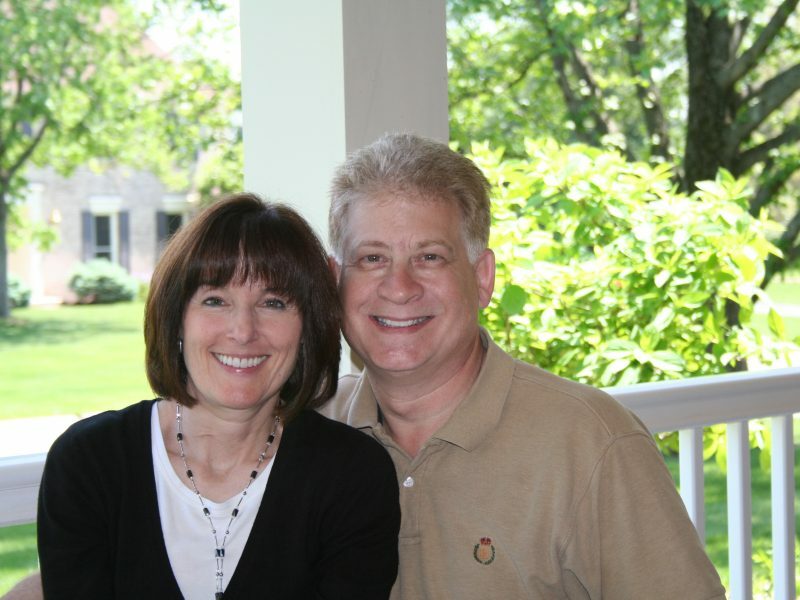 Ross and Jan Evans have loved being involved in Cincinnati’s Jewish community since they were teenagers. Ross and Jan Evans and their daughter, Morgan, chaired Super Sunday last month. Why do Ross and Jan Evans give and volunteer in the Jewish community? The Jewish Federation is asking people in Cincinnati’s Jewish community to share why they give. Here, we ask longtime volunteers and donors Ross and Jan Evans. Danielle Minson: Fundamentally, why do you give and volunteer in the Jewish community? Ross: I had the opportunity to grow up in a very rich, full, Jewish home. It’s very important for our community to offer that rich vibrant Jewish life to the next generations. I think it’s critical for my children. We want to leave our children and our grandchildren a community that is as enjoyable to grow up in as it has been for my wife and me. Jan: For me, things like youth group and camp were what gave me my Jewish identity, and allowed me to feel comfortable and proud to be Jewish, and I want to make sure that all kids have that opportunity. It’s been really great what camp and Sunday School have done for my kids. I have no doubt that they will always have Judaism as a part of their lives. Danielle: Can you tell us why you decided to start volunteering and giving? Jan: In Louisiana the Jewish population was obviously very small. I felt different because of [being Jewish] as a child. So we moved to Cincinnati, and all of a sudden I was in a school where a third of the kids were Jewish. Once I got involved in my youth group at Sunday school, it changed me. And I knew that Judaism would always be a part of my life and I would marry Jewish, no matter what. Ross and Jan Evans with Ross’s mom, Claire, who so influenced his giving. Ross: I was very influenced by my mom [and] by her work in the community. My mom was a woman ahead of her time. She got married later in life; and was a civil rights activist. 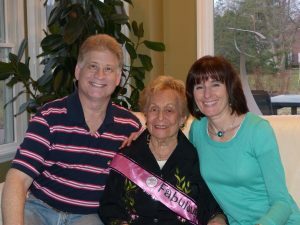 In 1968 or 1969, after being home with her children for seven or eight years, she went back to her professional roots and continued her career at Jewish Family Service of Cincinnati as a family and marital therapist. Social work was her career for well into her eighties. As a ten-year-old I often did homework [at JFS] at Roselawn campus after school, because my mom had evening hours. Youth group was influential for me as well. I was very involved in United Synagogue Youth (USY) here in Cincinnati and regionally. I actually went to a private school that had a very small Jewish population; in fact I was the first person to attend school who observed two days for Rosh Hashanah, and insisted they have matzah during Passover. Danielle: Can you tell a bit about organizations you are involved with? Jan: That will be way too long—I’ll start [laughs]. I was very involved in the opening of the new JCC [in Amberley]. I served on the marketing committee; I served as cochair of the Grand Opening Ceremony. I received the Volunteer of the Year Award for my work at the JCC. It was great to be a part of something that big. 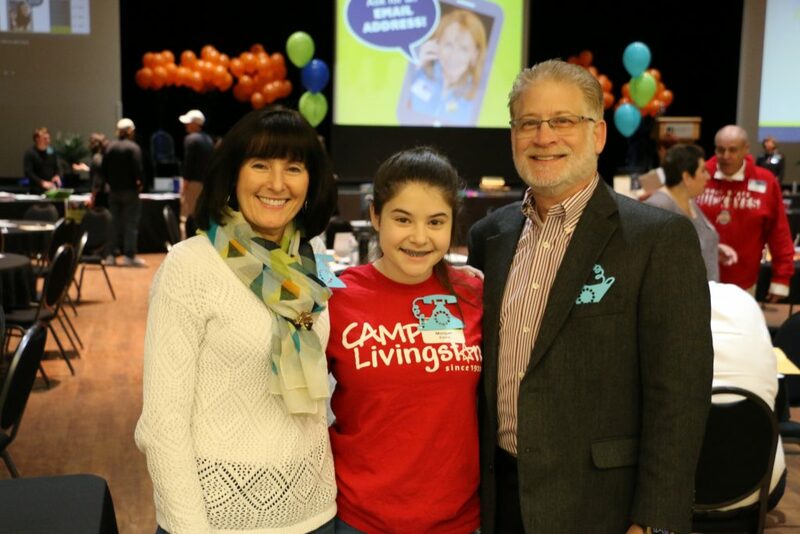 I’ve been involved with Camp Livingston for a number of years. All three of my kids attended Camp Livingston and our youngest will be attending the AU Program there this coming summer. I have served on the board for many years. My kids loved camp. My daughter starts marking days off on a calendar in January every year; she can’t wait. I’ve also been active with the Jewish Federation: we cochaired Super Sunday last month, but you may not remember we also cochaired when I was pregnant with our eldest son, Jordan, 26 years ago. Ross: I have loved being active in the Jewish community, and I got that from my mom. I have served on the boards of almost every Jewish organization in Cincinnati. I’ve held leadership roles on many of those boards, including Cincinnati Hillel, Jewish Family Service, Jewish Community Relations Council, Jewish Community Center (where I enjoyed being on the board with my mom at the same time), and currently am serving on the boards of Jewish Federation and the Skirball Museum at HUC. I received the Allen Cowett Young Leadership Award [from the Jewish Federation] in 1995. Jewish Family Service has always held a special place for me. My mom had retired [from Jewish Family Service] in 1985, [but] actually went back to work there in 1986, and in the interim year she had been appointed to the board. After she stepped off the board, I was very honored when Jack Rubenstein called and invited me to fill my mom’s board seat. I served on the board for over 16 years. I was willing to get involved and loved it. You meet great people. Cincinnati’s Jewish community cares about Cincinnati. There were times that Jan would complain because I’d be at board meetings almost every night of the week. Danielle: What does giving, including legacy giving, mean to you? Ross: I’ve been a part of this community my entire life; I’ve been giving to the Federation annual campaign since I was 17 or 18 years old. Legacy to me means providing the resources so that the next generation has the same opportunities we did. I want my kids to have the ability to make their own way. Our arrangement with our kids is: we’re not leaving them a dime, and we are using our resources to support the community. We wanted to instill in them the importance of giving. Our goal, in a philanthropic way, is to be able to help provide to meet the needs of the community through gifts to the agencies that have meant a lot to us: Camp Livingston, the Jewish Community Center, Jewish Federation of Cincinnati, our synagogue, and especially Jewish Family Service. And the gift for Jewish Family Service will be in my mom’s name, which she was told about prior to her passing in 2016. She was very honored and flattered to know about that. Thank you to Jan and Ross Evans for their generosity in time and gifts to the Jewish community. Our community gives back with incredible generosity every day: enjoy the whole Why I Volunteer/ Why I Give series here.